Honda’s new CR-V will be made in India for Price Competitiveness. As Japanese automaker Honda is planning to assemble its sports utility vehicle CR-V in India to benefit from tax cuts and keep the competitive price tag when the fourth generation CR-V is launched next month. Honda Car India will bring the new SUV with 2.0 litre and 2.4 litre petrol engines options just like the old CR-V, which has already been discontinued, a trade official said. The price of the new vehicle will be lower than its outgoing sibling that was available in the price band of 22.91 lakh to 25.15 lakh (ex-showroom, Delhi) and was imported directly from Japan, the person said.The local assembly of the new CR-V will be done at Honda’s Noida plant. 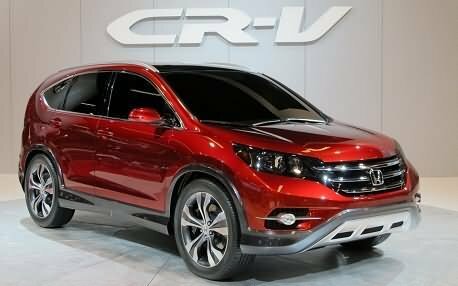 Honda Car India did not confirm the CKD strategy, but confirmed that the new CR-V would hit the market in February. “We will be launching the all-new fourth generation Honda CR-V next month in the Indian market. All the details of the new car will be shared at the time of the launch,” a company spokeswoman said. Honda CR-V, which used to be the segment leader, has in recent years lost out to diesel-powered competition that include Mitsubishi Outlander, GM Captiva, Hyundai Santa Fe, Renault Koleos and Toyota Fortuner in the 18-25 lakh price band. It will be a tough task for the new CR-V to catch up with market leader Toyota Fortuner. Priced 21.36 lakh to 22.93 lakh in Delhi, Fortuner runs on diesel, which is around 25% cheaper than petrol. Analysts tracking the automotive sector say that fuel price plays a major role in the success as most SUV are guzzlers. “Given the current scenario there is hardly any petrol SUV model that charts any decent sales. The Fortuner or the BMW X1 or the Audi SUV that are currently the hot sellers all have diesel as the common median for their sales traction,” said a Mumbai-based consultant working with a multinational.